This classically styled cap is made from tight weave windproof cotton. 100% natural fibres and highly breathable. A three-panel cap crown is sewn from three pieces of fabric: a strip and two half-moon pieces with an elasticated panel at the rear. The snow white cotton ribbon adds the speed of style to the red/ navy cap material. 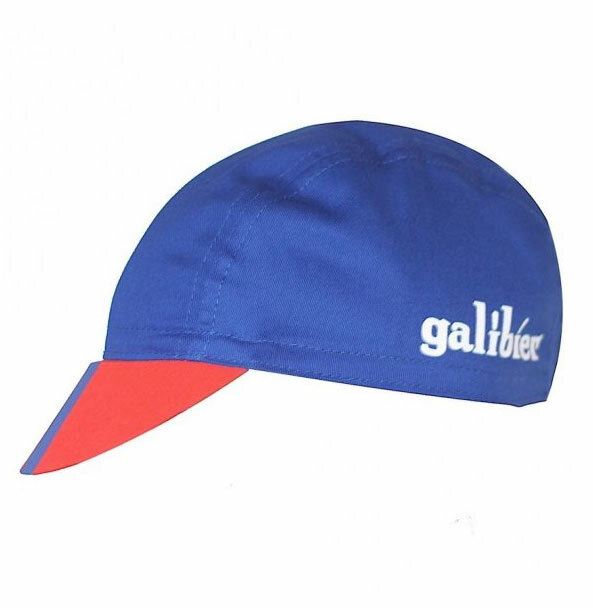 The underside of the peak is shows Galibier logo design inspired by the 12 sprocket that drives our life.